The Icelandic game teaches foreign grown-ups in general and all around the expression in Icelandic. The use of The Icelandic game is developed first and foremost for foreign adults but is easy to adapt also to primary and secondary schools levels. Íslenskuspilið or the Icelandic game is a verbal educational material which can be used for teaching and practicing Icelandic for adult learners. The purpose of the Icelandic game is to contribute to adult learning in Icelandic but it can also be used on other levels. It facilitates using a variety of approaches in cooperative learning as well as in individual learning. The main objective is to train people learning every day use of the Icelandic language which will enable them to communicate in Icelandic. The project has a creative way to improve the quality of language teaching, motivate learners and make the best of available resources. The Icelandic game helps breaking down these barriers whith its Verbal instruction – and getting a quick response just like in daily routine. In 2003 a course of Icelandic as a second language was held for the teenagers There was not much of a diverse learning material available, so the teachers tried to create new material and tried to motivate the students with games, building up their skills of Icelandic. This game using different kinds of colors with all kinds of instructions where they never knew what would come next was exciting. The students needed to read the instructions out loud and collect the right answers,. The students asked for practices and had fun at the same time. When moving to another town in Iceland and starting teaching Icelandic for adults the teacher noticed that the lack of material was even worse, especially in spoken Icelandic and in expression skills. Then, in cooperation with Þekkingarsetur Þingeyinga, there was a decision to publish a game and call it "The Icelandic game". The instructions were adjusted to adult learners and more material was added to each category. Finally there was a trial period with all the groups learning Icelandic. The students filled out an evaluation form about practice and effect. The teachers did the same and gave notes as well regarding what needed to change or add. The game was adjusted accordingly. There was also another trial period with the newest edition and the same routine again. This was in Spring 2008 and again in Autumn 2008. The game was published in Autumn 2009. The Icelandic game was published in autumn 2009. The feedback was carried from all students and teachers in all groups. The results were very positive and teachers were pleased to have new teaching material. The students said it helped them gaining confidence in speaking Icelandic. For the value of practise and the innovation. The project is also easy to transfer to other languages. Good idea put into practice and product supporting others in this field. The innovative aspect of the project is that the Icelandic game met the need for material in teaching adult immigrants Icelandic. In a report made by The Education and Training Service Centre in Iceland in 2007 it says that the basic material available in teaching immigrants Icelandic is not enough. There is a lack of other material, such as material practising pronunciation, expression and the diversity meeting peoples differences. There was no material available on the market with the same focus as the Icelandic game and its practise. The Icelandic game can also be used in other language reading out loud in Icelandic and reacting in another language. Icelandic people living abroad can also use this game for their children from 10 years and older. 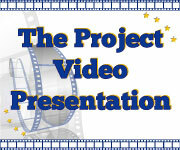 The product (the game) became better known and the ELL helped when introducing the product and the approach. 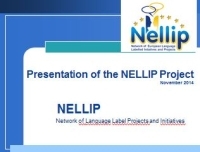 Use the European Language Label for support when introducing the project. The European Language Label might be better introduced for the people in this field and also the possibilities and backup it may have. A new approach for teaching languages, the use of game for learning purposes, encouragement to learn a new language for migrants that have another mother tongue and are living in another country. Message: Innovative, dynamic and fun….Three characteristics that all learning projects should have. Particularly good for adults facing the daunting task of learning a language. Message: The results show that the game gives confidence to the learners to speak Icelandic. It is also an interactive way to learn the language and emphasis the importance of communication. This is a good learning method as the learner can be more active in the game setting then in more traditional teaching settings. This is motivating and increases good learning results. Message: According to the description the model developed in the project is easy to transfer to various training sectors and for different target groups, which raises the general impact of the project.In 2009, the use of games in language learning was not that common than it is today ( partly by the fast development of social media and its use as a means for teaching and learning).